It is the end of March and if you have not made your summer vacation arrangements ... now is a good time ! 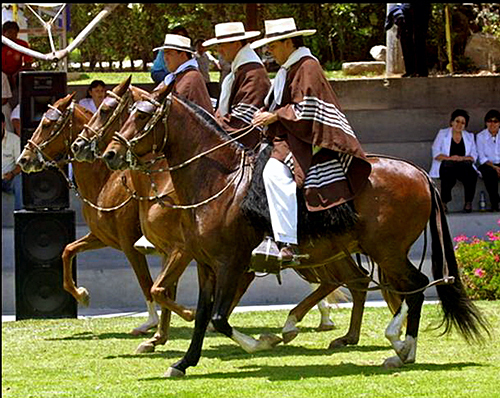 Do not miss out on a great horseback riding vacation for 2011. We are very excited to announce a few excellent NEW RIDES that we recently added to our program. Special Exploratory Ride April 19 to 29 !! Ride with the wild horses and visit the enchanting Magic Forest... Come explore the Alto Molise with its rolling hills, vast meadows and forest lands from the comforts of a Western saddle and one of our handsome and trusty Quarter horses, Appaloosas or Paints. Once upon a time the Kingdom of Castile was a medieval kingdom of the Iberian Peninsula; today it is known as a historical plot of central Spain. The kingdom emerged as a political autonomous entity in the 9th century and this ride explores the territory that was once developed and patrolled by nobles and peasants on horseback: the breathtaking region of the Gredos Mountains.